These last few weeks, much has happened in the world of Redox Signaling. James Watson, who co-discovered the 3-D helical structure of DNA, has stepped forward with an article in the prestigious Lancet journal to champion this field of science, stating that he considers his work in this field to be his greatest accomplishment since DNA. You can type “Watson Redox ROS” into any search engine to explore this. The formal research on redox signaling has to do with how reactive oxygen species (ROS, examples: H2O2, O2*-,ClO-,etc. ), reactive nitrogen species (RNS example: NO) and reactive sulfur species (RSS example: H2S) interact with the molecular semaphores in the vast ocean of fluids inside us. These molecular semaphores are proteins (like thioredoxin) that change conformation and state when they come into contact with these reactive molecules and redirect molecular traffic in our cells. Imagine the implications. Amazing as these molecular processes of life inside our cells may seem to us, possibly even more amazing is that trillions of individual cells combine to form the complex tissues and organs that pump our blood, think our thoughts and move our muscles. The enormity and complexity of any one of these machines is mind-boggling. Take a moment and ponder the importance of the proper function the cells, with all of the molecular machinery inside them, to the vital functionality of the whole organism. These tiny molecular machines are all seemingly unaware of the crucial role they play in the big picture as they complete their tasks with incredible precision and speed. And yet they cannot be completely oblivious to everything that is happening even trillions of cells away. The tiny molecules that move our muscles, for example, must react to signals from our brain originating from relatively vast distances away, they are sensitive to these signals and know exactly what to do when they come. In fact, it would be wrong to say that all of these tiny molecular machines act independently of each other, even if they are separated from each other by truly astronomical distances on the atomic scale. In a very real sense, they all are connected by the signals that they send to each other. Single-cell organisms do not have to be connected to anything beyond what is happening in their immediate environment. Signals from the outside mostly help the single-cell organism to find food or light and help it avoid dangers. In a sense, single-cell organisms are selfish, their biological mechanisms are tuned mostly to their own individual survival, their molecular machinery is focused on sustaining proper internal function and they do not need the complex, elaborate external messaging systems that exist in multi-cellular organisms. This gives single-cell organisms, like bacteria, a disadvantage when compared with multi-cellular organisms. We will see, later on, that our immune system is able to detect and kill bacteria with the help of a combination of reactive oxygen species (ROS) that rips apart bacteria and simultaneously activates redox signaling networks in and between our cells. Over hundreds of millions of years, bacteria and primitive single-cell organisms have not been able to adapt to dominate multi-cellular life. In principle, our immune system is universally effective. It might be interesting to contemplate, for a moment, what the fundamental differences are between single-cell and multi-cellular organisms. Cooperation, almost by its definition, seems to be the key to success in multi-cellular organisms; cooperation that is mediated by the connections made between the cells. If we are working on the scale of the molecular machinery inside each of the individual cells, then being connected means that cells can send messages between each other that will alter the way these tiny molecular machines conduct business in each of the connected cells. It may even mean that individual cells can be asked to sacrifice themselves and shut down for the good of the whole organism. 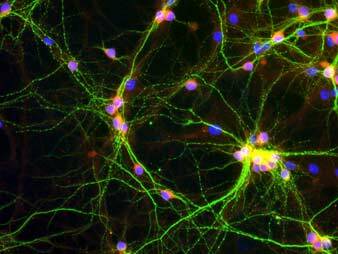 The individual cells are programmed to obey the directives that are sent through their connections. These connections become absolutely essential for the survival of the organism. Suppose, for example, that a single cell in your body cuts off the connections it has to all the other cells. This rogue cell can no longer receive the messages and directives from the rest of your cells and starts to act in a way as to preserve its own survival, similar to a single-cell organism. It becomes a cancerous cell. If it is successful in its struggle to survive and duplicate itself, then the whole organism will eventually die. In a very real sense, it is the connections made between cells that allow them to cooperate and to fulfill their own appointed role. Through these connections, billions of your cells every day realize that they are damaged and are called upon to selflessly sacrifice themselves, to die and to be replaced by the division of neighboring healthy cells, in order to help preserve the health of the organism as a whole. On the most fundamental level, the molecular machines in your cells react, shift and change based on the messages that come into them through the connections that exist between your cells. They all work to fulfill their appointed roles, precisely and faithfully. There are literally thousands of different types of messages that are sent between cells, both chemical and electrical, that influence the way these tiny molecular machines function. In a very real sense, all of the 50 to 100 trillion cells in your body are all intricately connected and unified to provide you with the precious gift of life that you now possess. Excellent, thanks for all your work – I appreciate you ! Great information! I just drove from Oregon to Utah and back and listened to all your 30-45min Saturday calls you used to do regarding Redox Signaling. I love how you can dumb things down so all can understand the complex workings of the body at the atomic level. Hour after hour you kept me awake. I was looking for your old website to say thanks and I found your blog. So glad you are doing this. If you want any help getting your arms around blogging let me know. I do this for a living and I’ll help anyway I can for free. It’s the least I can do as a way of saying thanks for the many hours of audio teaching you’ve provided myself and others. Honestly, let me know. You have my email. Dear Dr. Samuelson. I am also grateful for the wonderful information you generously give, as well as information about the latest REDOX literature being published. I am a health researcher from Melbourne, Australia, and can see that redox signaling is a hot topic. Given prestigious medical journals such as The Lancet are publishing this information is both interesting and inspiring. I am personally very interested in the role of redox signaling and cancer prevention. Looking forward to your next instalment! Our cells are connected by the signals that they send to each other. This is the way we stay healthy. Those signals are provided by redox molecules and, as we age, we produce less and less of those molecules. ASEA is the only supplement with trillions of stable redox signaling molecules…all native to our body! How does ASEA product relate to the redox signalling molecules? ASEA is a supplement that contains a safe and balanced composition of redox signaling molecules (specifically the ROS components derived from pure saline solution). Can you please specify the chemical structure (formula) of these molecules.